Colvin & Moggridge » Little Peacocks in full Spring bloom. Come Spring Little Peacocks, the Gloucestershire practice garden, bursts into bloom. The gardens open to the public once a year as part of the National Gardens Scheme and this year they’ll open Sunday May 3rd. 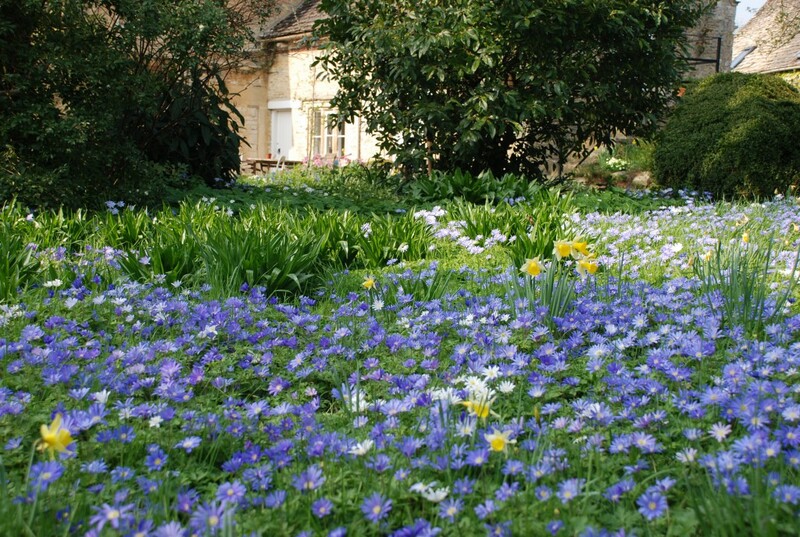 This photograph shows our bulb lawn awash with Anemone blanda, Anemone apennine, Narcissus psedonarcissus (wild daffodil) and Primula vulgaris (primrose). 'Arts and Crafts' for the 21st-century.